Aidan won the t-shirt design contest for the basketball tournament a few years back at the CAAEL Art Fair. 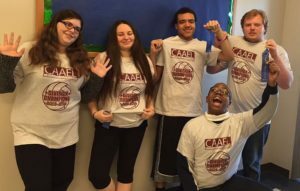 He had a tough few weeks leading up to the State Tournament and was not making eligibility criteria, but on the day he realized that his t-shirt design had been chosen, his behavior completely changed. He knew that everyone would be walking around in the shirt that he designed. 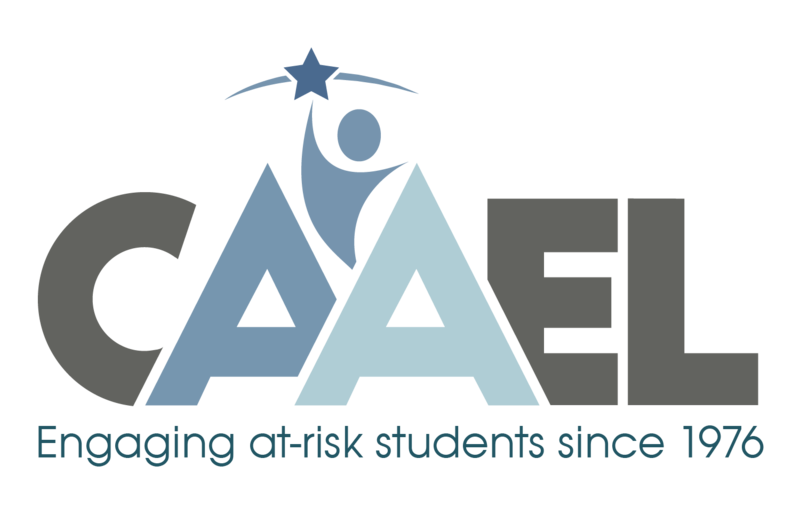 He knew that he needed to meet the CAAEL criteria for academics, behavior and attendance in order to attend….. and he did just that….he made it to the tournament and was able to see his design displayed everywhere. It was a very proud moment for Aidan and his mom.